At Radiometer, we believe that safety of caregivers should be a top priority in all phases of acute care testing. 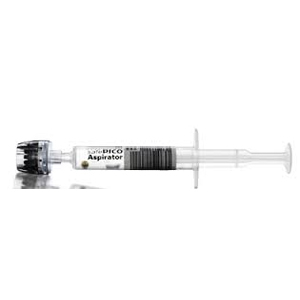 The integrated needle shield device on our safePICO self-fill syringes allows single-handed needle removal, lowering the risk of needlestick injury. Our safeTIPCAP limits the risk of blood contact The unique design of our vented safeTIPCAP allows safe and easy expelling of air bubbles. It completely seals the sample to prevent contact with patient blood, even during transport. And the cap stays on during analysis. Fast mixing with heparin to prevent sample clotting All safePICO syringes have a built-in mixing ball, ensuring fast and thorough mixing of the sample. They also contain our unique dry electrolyte-balanced heparin, efficiently dispersed throughout the sample to prevent clots. Prebarcoded for to ensure proper patient match Radiometer’s safePICO syringes are prebarcoded to ensure correct patient identification every time. With Radiometer’s data management system, FLEXLINK, you can scan the sample directly at the bedside and link it together with operator and patient IDs. This gives you confidence that you have the right result for the right patient – every time.